The Weekend eSports - I summon you forth: Shenron! We’ve got quite a list of events for you this week, ladies and gentlemen. The Dragonball FightersZ world tour comes to end this Sunday after 4 last chance qualifiers, thanks to Kazunoko. Whether we get another tour is up to the powers that be. Eleague is coming in with their annual CS:GO invitational tournament. 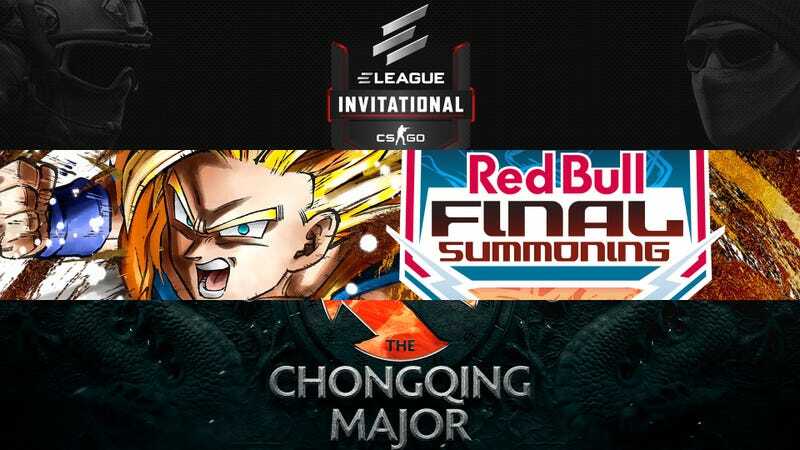 And in the world of DOTA 2, the Chongqing Major is what you wanna watch out for. But that’s not all that’s happening, there’s almost a little bit of everything. Have a good one! Featured Game(s): Smash Melee, Smash Ultimate, Pokken, Street Fighter V, Tekken 7, Dragon Ball FighterZ, Guilty Gear Xrd Rev2. 6:00 PM - Top 32 Bracket, Amateur Bracket (for those that went 0-2 or 1-2) Top 3 will be played out on the main stage.